Dr. Jill Marci Coomer is our Associate Veterinarian who had originally joined our team in January 2008. After getting married in October of 2012, she's returned and will be officially part of our team once more this July 2018. During her undergraduate, she received a Bachelor's in Biology with a minor in Chemistry, graduating in 2001. 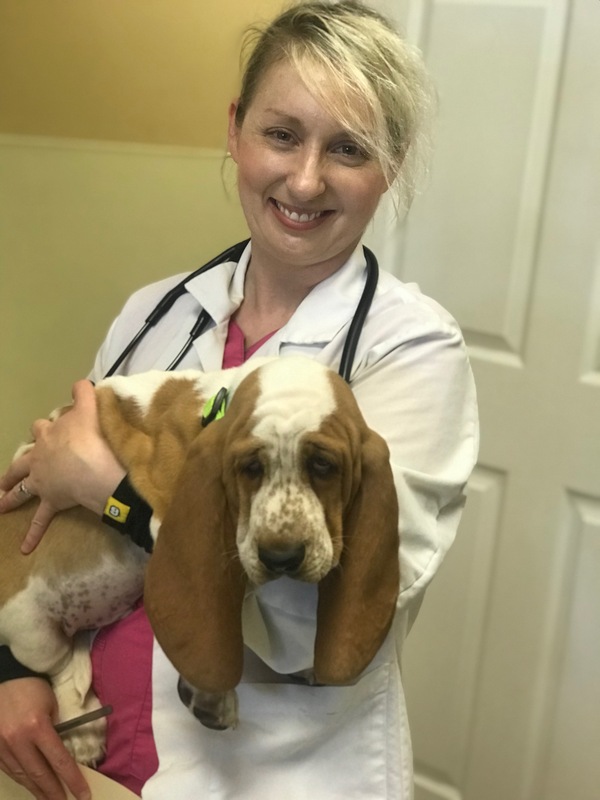 To further pursue her career, Dr. Coomer attended St. George's University School of Veterinary Medicine and graduated in 2007. Dr. Coomer has had a passion for animals since she was a young child. "My dad motivated me to become a vet when I was 7-years-old after observing me care for my first horse," she says. In her young age, she also volunteered at a veterinary clinic. During her time in vet school, she also spent her time as a veterinary assistant in various clinics. Some of the most satisfying things about being a veterinarian for Dr. Coomer are "examining a sick patient, running diagnostics and treating that patient, and then watching the patient improve and happily go home." Dr. Coomer currently has two dogs at home. Portia is a 3-year-old Doberman Pinscher and Lightning is a 4-year-old Rat Terrier, happily rescued and living with Dr. Coomer, her husband Matt, who is retired military and current electrician and appliance technician, and their two children, Alex and Callie. Dr. Coomer also attends Apostolic Lighthouse United Pentecostal Church in Farmington, where her sister Eric and her husband Nataniel pastor.